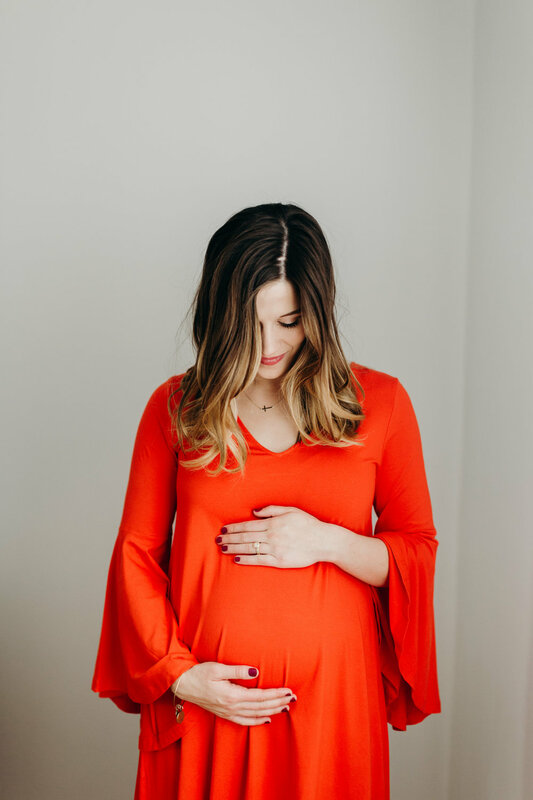 Today is my due date & while there are still no signs of our little one's arrival, I am excited to share a few of the ways photography has helped to prepare me for when Wylden Lily girl gets here! As a photographer, one of the roles I take most seriously is the role I play in helping others feel confident. It is my highest goal to make whoever steps in front of my camera feel at rest to be fully themselves & let that shine from the inside out. And how much more so do I want to do that for my daughter Wylden?! There will be days when she feels on top of the world & days when she feels worthless - we've all been there. How can I, as her mama, be a part of building her up to embrace who God has created HER to be? Photography gives me small ways to practice this every day and I can't wait to start practicing this with her, too. When it comes to photography, I would describe my style as a balance of documenting your candid/natural moments while offering styling direction to ultimately create intimate portraits that will present you, your love story, & your celebration in the best light. Meaning, I want the REAL you. But I will also tell you if you have something in your teeth, you feel me?! So what does that have to do with raising Wylden? I know there will be times when I will project onto her an expectation of how I think she should be or look or act. And with God's grace, there will be times when that is appropriate. For example, I want to lead her in how to treat others kindly, laugh at her mistakes, & take creative risks! BUT - she is not going to be just like me, she is not going to be perfect, & God is going to mold her into something uniquely, wonderfully beautiful! I want to give her freedom to do her thang - while also guiding her along the way. The same way I hope to do so in your time spent with me - capturing the natural essence of you & your relationship, while leading you so you don't have to think, "but what do I do with my hands?!" At times, 9 months felt like forever, and at other times, it seemed to fly by so fast. Often, when we're there in a moment of time, we don't feel the full weight & significance of those moments as we do when we look back at old pictures and it hits us hard. That's why I love photography. That's why I'm passionate about you printing your photos & hanging them where you'll see them. They serve as a reminder of what's most important, why you said yes, & the most beautiful parts of life. Photography is one way - but what are other ways I can be present, engaged, & appreciative of the little moments with Wylden? Harrison and I have been talking about a few ways the past week or so that we can do this with each other. Putting our phones completely away when we have dinner together. Charging our phones in another room at night so we don't spend our last moments before falling asleep next to each other looking at a screen. Writing down our to-do lists to clear our minds so they're not floating around in our heads when we're talking to each other. I want to be present & engaged when I spend time with Wylden so I don't miss the little things because I was distracted by my phone & my never-ending list of to-dos. I know from photography that all the little moments are what make up the greater, wonderful story.